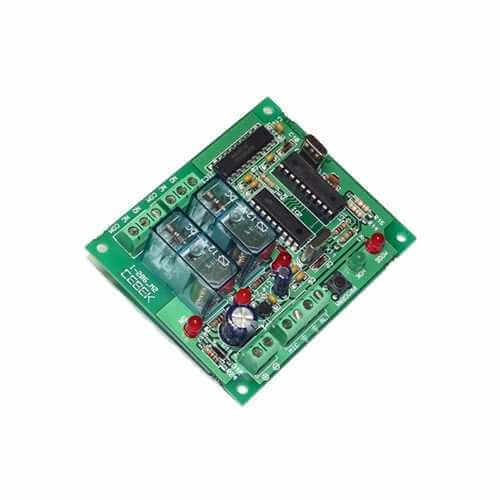 This pre-built module plugs into a mobile phone and provides 2 independently controllable mains rated relay outputs. You can then call the mobile from anywhere in the world using any DTMF (tone dialling) landline phone or mobile phone and remotely control the relays as desired. Each relay output can be setup to operate as momentary, toggling or timed (up to 99 minutes 59 seconds). Relays are rated to switch 230Vac mains voltage up to 3A each. Programming is performed using the remote phone keypad. The board is password protected so only authorised users can operate it.